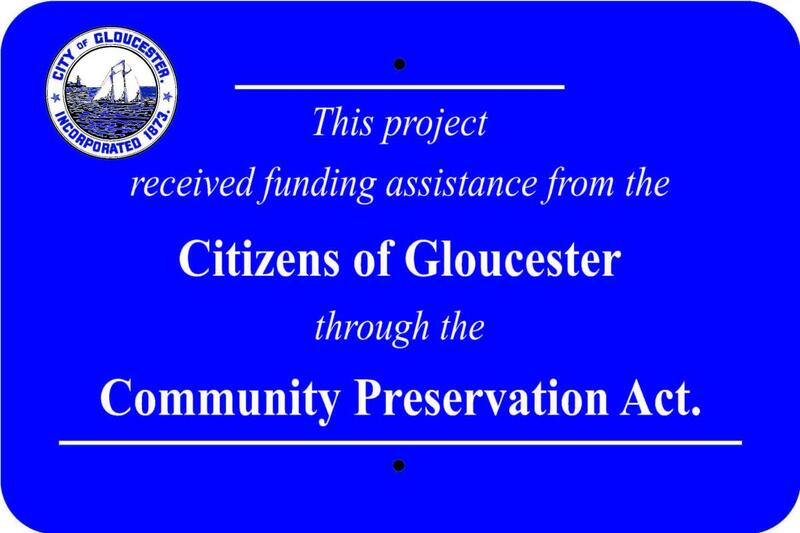 The Gloucester Community Preservation Committee will hold a Public Hearing seeking input from citizens regarding the priorities and uses of Community Preservation funds. This is an opportunity for you to voice your needs and concerns about the uses of these funds. Legislation dictates that funding is available in four categories: historic preservation, community housing, open space, and recreational projects. To see a list of all projects which have received awards from the Community Preservation Committee follow this link to the Community Preservation Coalition website. Agendas are available prior to CPC meetings. Minutes are available upon approval of the CPC. Each fiscal year, at least 10% of the revenues in the Community Preservation Plan must be spent or set aside for open space (excluding recreational uses), 10% for historic preservation, and 10% for community housing. Up to 5% may be spent on administration. The remaining 70% of funds may be allocated to any one or a combination of the three main uses including public recreational purposes. By popular vote in the fall of 2008, the citizens of Gloucester adopted a 1% surcharge to be spent in accordance with the provisions of the Community Preservation Act. The nine-member Community Preservation Committee (CPC) was then established In accordance with the terms of the Act. The CPC consists of four members at-large and one representative each from the Historic Commission, the Conservation Commission, the Housing Authority, the Planning Board, and Parks and Recreation. The mission of the Community Preservation Committee is to study the needs of the City of Gloucester in cooperation with various City boards, departments, organizations, and citizens and to solicit and evaluate proposals for the use of Community Preservation Act funds for the maximum benefit to the City of Gloucester. The CPC will recommend to the City Council those projects which it deems will best achieve the purpose of the Community Preservation Act legislation in the areas of open space, historic preservation, affordable housing,and recreation.